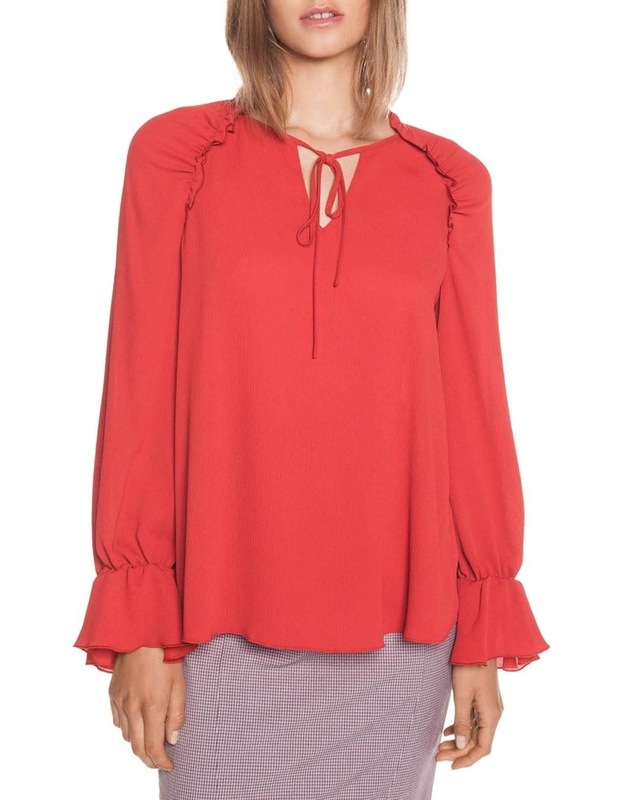 Made from a crinkle georgette, this trapeze top features a narrow-frilled collar and soft neck tie. 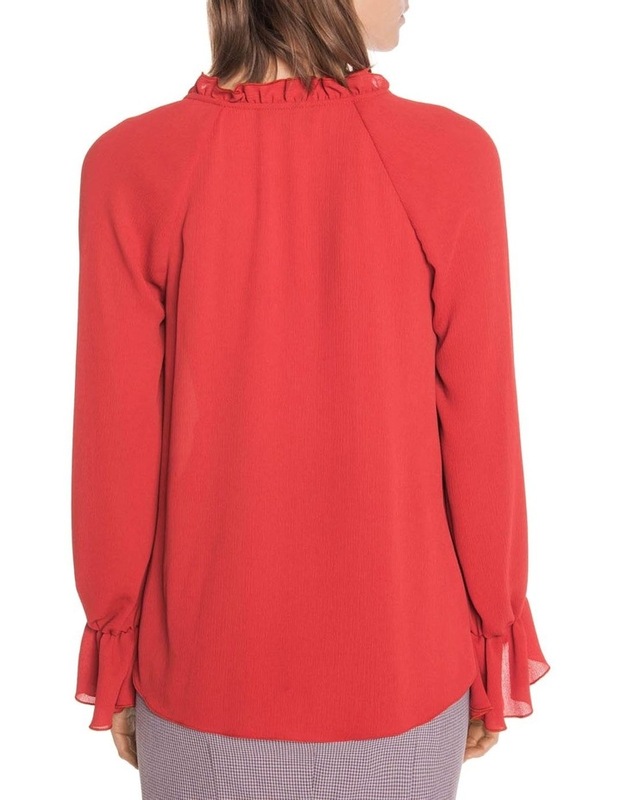 Finished with a raglan blouson sleeve with a frilled cuff. Made in Australia.